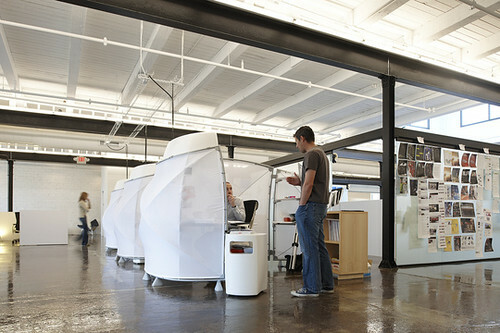 An interesting article over at the unplggd blog about a new office space in Minneapolis for creative consultants Mono. 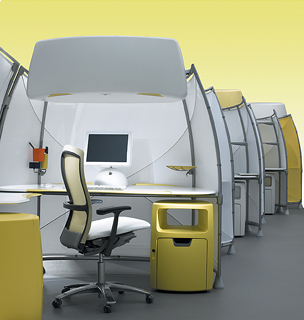 Notably they are using the Knoll A3 cubical system - an unusual fabric partitioned system that makes cocoon like spaces. 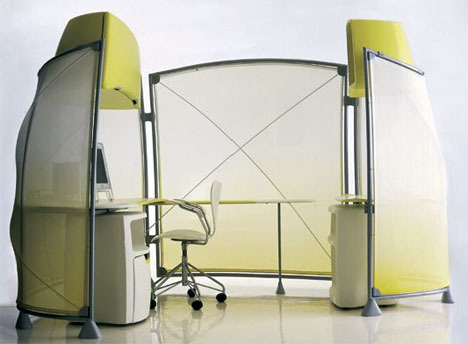 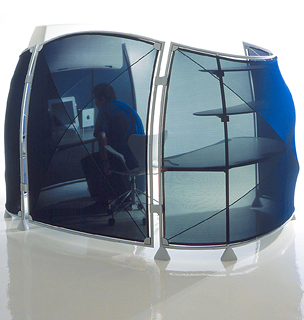 cardboard meeting booths - new meme?